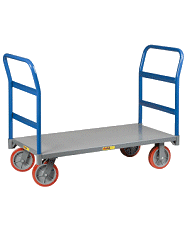 Sturdy design and narrow platform moves large loads and multiple cartons easily and safely through doorways and aisles. 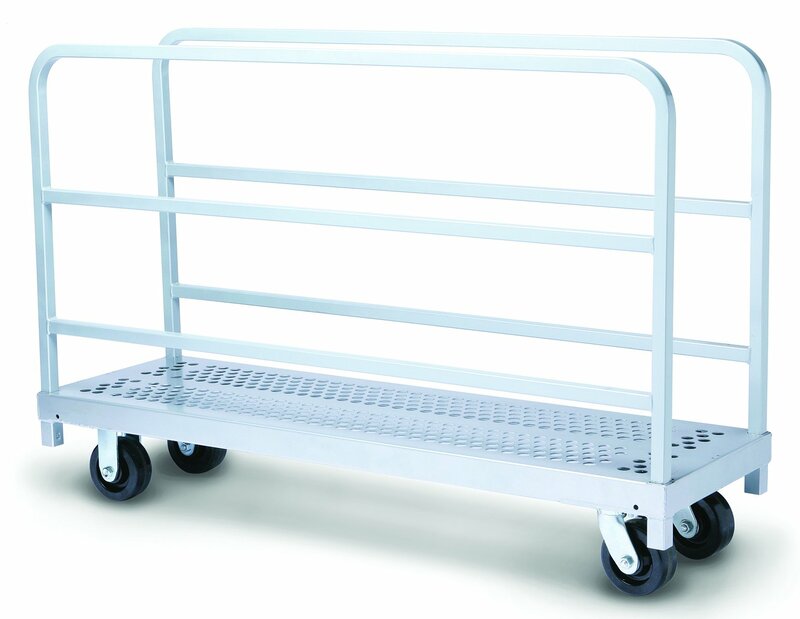 Ideal for schools, warehouses, grocery stores, post offices and more. Platform Base: Powder coated 12-gauge steel ribs and platform. Dimensions: 54”L, 16 1/4” W, 35 3/8” H.
Side or end uprights available. UPS linear carton dimensions: 55/55 L x 17/17 W x 9/3 H Casters: 5" x 2" Phenolic, Two fixed, two swivel optional brake kits available. Removable uprights: 2 Packed: Two cartons. Shipping weight: 92 Ships Ships UPS. 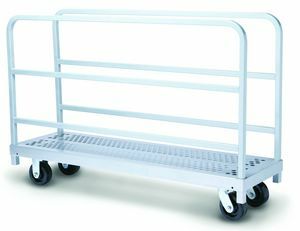 We use this cart for moving and storing four 8' banquet tables and it works great. Cart moves easily across our gym floor and low pile carpet. Perfect for our needs in having to store only four tables.